It can get pretty cold in Rhode Island, Connecticut, and Massachusetts. If you live in one of these states, we don't have to tell you how important it is to get the right insulation. If you have never lived in a home where you could feel the cold coming right through the wall, there is a good chance you've visited a home that has. Keeping that cold New England air out is hard. Whether you're planning to buy a new home or you've lived in your home for years, here are a few things you should definitely know about TAP insulation. Are you searching for that perfect place--the home you're going to make memories in? If you're planning to build a new home, there is no better place to start than deciding what insulation you're going to get. Insulation doesn't just keep you warm in the winter and cool in the summer, it impacts your life in a surprising number of ways. Don't wait until later to get TAP insulation. Start living with all the benefits from the very beginning. If you already have a home, you might be wondering, "Why do I need insulation? Don't I already have it?" Most often, we live with the insulation that came with our home, even when that insulation isn't really doing the job. TAP is a blown insulation. That means it can be applied over your pre-existing insulation adding a vital layer of protection to resist heat transfer. Over time, fiberglass insulation can develop gaps, or lose its fullness. TAP fills in the gaps with interlocking fibers that stop your heat from escaping. Think of it as putting on a winter hat. Heat rises. When your home is dressed for the weather, everyone in your home will benefit. The obvious benefit of having good insulation is that you're going to be warmer. There are few creature comforts that compare to having a warm cozy home, but how much warmer will TAP actually make you? There are many factors involved, and no two homes are the same, but a typical home will see a 20 to 38% savings after having TAP insulation installed. When you put money into the pockets of the energy companies, they get to spend it. Wouldn't it be nicer if you could spend it? When you have good insulation, it is going to affect you in ways you don't even realize. You may get to go to a concert or the appearance of a famous comedian that you would have skipped because money was tight. You may be able to give better Christmas or birthday gifts. Who knows, you might even spend that extra money on a new boat. Energy savings can really add up. When a house fire happens, it is tragic. There are few things that can devastate a family more. We don't realize what we have until it's gone. It may be a treasured heirloom. It may be your boxes of old photos. It could be a book that holds a lock of hair from your firstborn. We have a lot of things in our homes that are irreplaceable. But nothing is more tragic than the loss of life. TAP insulation is resistant to fire. If you have TAP insulation in your wall, it will keep fire from spreading quickly up your wall voids. That will give you enough time to escape, and enough time for the fire department to come and put that fire out. There are all kinds of bugs and wildlife that get into homes, spread illness, damage belongings, and chew through support beams. We know. We're a pest control company. That is why we install TAP insulation. Studies have shown that the borates used in TAP insulation resists a wide range of pests. While it isn't a complete solution, it is definitely a great start. 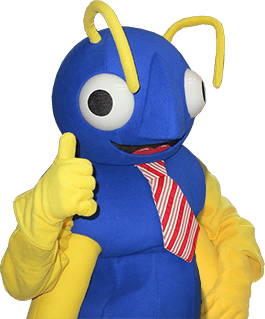 If you're looking to get all of the other benefits that come with an insulation upgrade, it is good to know that you can add pest resistance for free. Mold can cause illness in a home. And, since this issue is hidden in your walls or attic spaces, it is hard to see. TAP is EPA approved to resist fungi. When you have good insulation, it doesn't just improve your level of comfort; it comes with all of these many benefits. Reach out to us today, and schedule your appoint to have TAP installed. There is no better investment you can make for your home and family.